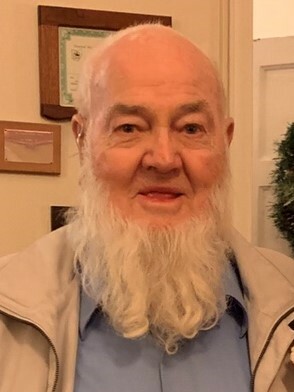 Robert Dean Wilson, age 85, of Newcomerstown, formerly of Peoli, went home to be with the Lord at Thursday, March 21, 2019 at home surrounded by his family. Born January 17, 1934 in Nottingham Township, Harrison County, Ohio; he was a son of the late Paul Everett Wilson and Lois Reddington Wilson. Bob was a 1951 graduate of Freeport High School. He was a member of the West Union United Methodist Church and attended the St. Paul Lutheran Church in Newcomerstown. He was a member of the West Chester Seniors and was a volunteer at Journey’s End Ministries in Newcomerstown. He retired from Simond’s Tools in Newcomerstown in 1983. Bob was preceded in death by his wife, Patricia Ann DeLoe Wilson; three sons-in-law, Robert Szoke, Ted Ickes, and Jim Darrah; two sisters: Margaret Wilson and Martha Ferrell; and a grandson, Jason Ickes. Surviving are his companion, Mary Lou Meek; six daughters: Anne Darrah of Peoli, Rebecca Szoke of Peoli, Susan (Charles) Knight of Peoli, Linda (David) Bolz of Newcomerstown, Kim (Scott) Meek-Obed of Gnadenhutten, and Kay Ickes of Birmingham; seventeen grandchildren and twenty-five great-grandchildren. Friends and relatives will be received from 12 noon to 4:00 p.m. Monday, March 25, 2019 in the St. Paul Lutheran Church, 121 College Street, Newcomerstown with a service beginning at 4:00 p.m. with Rev. Mark Brodbeck officiating. Memorial contributions may be made to Community Hospice of Tuscarawas County.